On Sunday evening, the National Association of Democratic Disability Caucuses held a virtual candidate forum with candidates for Chair of the Democratic National Committee (DNC). Marked by its hosts as a historic step in building a more inclusive party, the forum offered candidates the opportunity to directly engage disabled DNC members ahead of the DNC’s meeting in Atlanta on February 25. There, members of the Democratic National Committee from across the country will gather to elect the body’s next chair. “We have to understand as a community that platitudes and promises are not going to cut it,” chair candidate and former Rock the Vote president Jehmu Greene stated in her closing remarks. Greene was noting the need, in her opinion, for the next DNC Chair to focus less on politics and more on organizing. Reflecting Greene’s opinion and the function of the DNC, the forum focused mostly on making Democratic institutions more accessible to the participation and leadership of disabled Democrats, rather than on political issues within the disability community. 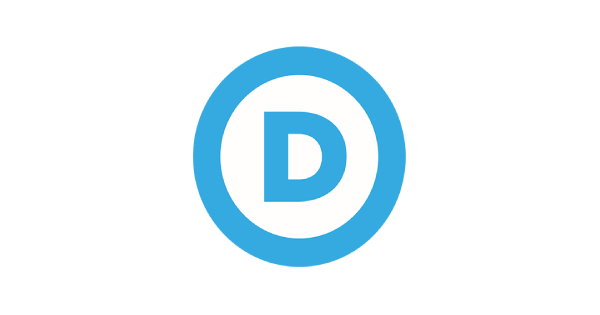 Six declared candidates for DNC Chair joined the forum via conference call: Sally Boynton Brown (Executive Director of the Idaho Democratic Party), Ray Buckley (Chair of the New Hampshire Democratic Party), Pete Buttigieg (Mayor of South Bend, Indiana), Jamie Harrison (Chair of the South Carolina Democratic Party), Tom Perez (former United States Secretary of Labor), and Greene. A seventh candidate, Minnesota Congressman Keith Ellison, was scheduled to participate but was unable to due to a delayed flight departure. The forum was moderated by National Association of Democratic Disability Caucuses Co-Chairs Catherine Crist (of the Iowa Democratic Party) and Vincent Olsziewski (of the Georgia Democratic Party). Welcoming remarks were offered by former Senator Tom Harkin (Iowa) and former Congressman Tony Coelho (California), two disability advocates who were the lead Senate and House sponsors of the Americans with Disabilities Act (ADA). “This past year has been a tremendous ‘Inclusion Revolution’ as I call it,” said Coelho in his welcoming remarks. “The DNC has actively included us in everything in 2016. We had disabled people serve at the Democratic National Convention in all sorts of places. We had numerous disabled Americans address the convention, and all of the main convention speakers addressed disability issues. The Democratic Platform itself had 39 references to disabilities. The DNC has also approved the formation of the DNC Disability Council and we will be formalizing that at the DNC Summer Meeting. But, with 20% of Americans having disabilities, this is a huge population that has not been politically pursued. That is still a huge opportunity for the Democratic Party”. In addition to opening and closing statements, four questions were asked by the moderators during the hour-and-a-half long forum to all candidates. Three of those questions centered on disability: How will you encourage Democratic Party to reflect the disabled community?, How will you encourage the Democratic Party to comply with the ADA?, and When you prepare for the next convention, how will you ensure that accessibility is priority from the beginning of planning?. All candidates expressed support for adding paid organizing staff to the proposed Disability Council, with South Carolina Democratic Party Chair Jamie Harrison pressing his desire to move the proposed Disability Council to full DNC Caucus status. Such a move would put Disabled Democrats on par with other constituency groups such as African Americans, LGBT Americans, and Democrats Abroad (unlike organizations representing these constituents, website and social media links to the National Association of Democratic Disability Caucuses are not currently reflected on the DNC website). Secretary Tom Perez also noted that he hoped that Disability Council would be empowered “to perform the role of being a truth squad” to respond to potential attempts under a Trump Administration to rollback enforcement of federal regulations and laws impacting disabled Americans. Perez noted his experience working on disability issues within the Department of Justice and as Secretary of Labor. He also used his remarks to press to ensure that all Democratic websites are voluntarily ‘508 compliant’ just like those of federal government agencies (Section 508 of the Rehabilitation Act of 1973 ensures that all government websites are accessible to people with disabilities). “Compliance [with the ADA] has costs,” stated South Bend Mayor Pete Buttigieg. “I think we can raise dedicated funds for that cost so that we’re never falling back on a lack of resources as an excuse for a failure to comply. In many ways it’s symbolic of what we need to do more broadly to ensure that the DNC is a resource to state parties. I think that compliance expertise that can be housed in the DNC would be something that state parties would value”. “I’m firmly committed to attaching requirements that come with DNC funding to state parties,” said Jehmu Greene. “There should be specific requirements in state partnership funding, and any grants on top of that funding, to ensure that state parties are compliant with the ADA”. In discussing the need to make Democratic National Conventions more accessible, all candidates shared accessibility problems encountered by their delegations at past conventions while noting vast improvements – such as more integrated disability seating within state parties – in 2016. I’ve brought this up as an issue for years, but addressing this fully can be further broken out into two issues. The first is the physical layout and accessibility of the convention, along with ensuring that people from the disability community are hired as part of convention staff. The second is the delegate selection process itself. I would pledge to ensure that there is at least one representative of the disability community on the Rules Committee of the DNC. The Rules Committee is the committee that creates the delegate selection process and enforces it within each of the state parties. I would call on the Disability Council staff to monitor the state party plans, just as the LGBT Caucus staff and other caucus staff does to ensure full participation from their communities. Every state delegation plan should include at least four members from the disability community as part of their delegation. We should also have much greater outreach to the presidential campaigns so that they understand exactly what we will insist on, and the DNC should do a much better job of reaching out and training the disability community on how to run for delegate. Buckley was referencing the delegate selection plans for the Democratic National Convention that each state party must submit to the DNC. These plans detail how a state party will work with each presidential campaign to encourage and recruit a group of delegate candidates from each campaign that fully reflects the diversity of their state. More than just facilitating attendees at a national convention, delegates often go on to develop into leaders within their local and state Democratic parties. Several candidates noted that building systems that ensure greater participation of disabled Americans within the Democratic Party could help the party modernize overall as it moves forward. “I see this as a rare opportunity for our party to rebuild from the foundation,” said Idaho Democratic Party Executive Director Sally Boynton Brown. “I believe that we are out of touch with the American people and that we are out of touch with the 21st Century. The DNC needs to repurpose itself as a service organization to meet the needs of the state parties. They then need to work with those state parties to repurpose themselves as service organizations for the activists that we have. We need to get to a place where we are innovative and resilient, and where we truly are living our values of inclusion and collaboration”. As the same question was asked of each candidate, many candidates took time to note how they agreed with the suggestions made by other candidates during the forum. Secretary Tom Perez went further by noting the support of disability issues by Congressman Keith Ellison, who could not be on the call. “I agree with every single word that every other candidate has already said,” said New Hampshire Democratic Party Chair Ray Buckley in response to others sharing their ideas to ensure more seamless compliance with the ADA. “We also need to ensure that all Democratic candidate campaign offices, and all state and local Democratic party offices, are ADA compliant. In New Hampshire, I will not sign any lease for an office that is not compliant with the ADA and I don’t believe that the DNC should have any relationship with any office or candidate or campaign who does not agree with that”. “We also need to have a program where we work with our elected officials and candidates to make sure that they are fully briefed on disability issues,” continued Buckley. “And we have to make a much better effort in actually recruiting disabled candidates. I learned as a gay legislator that being at the table ensure that our own voices are heard”. “The Democratic Party has always been the party of inclusion, and I want to continue to ensure that is the case,” continued Perez. “This is one of those ‘Where were you?’ moments where we are asking ourselves who we are as a nation. It is more important than ever that we have a Democratic Party that is leading the fight”. Although agreeing with Perez that the Democratic Party has been a party of inclusion, Senator Tom Harkin used his welcoming remarks to warn the party against complacency. “I think that there are a lot of liberals out there who think ‘If you’re a person with a disability, then you must automatically be a Democrat’,” said Harkin. “I watched the announcement of every presidential candidate last year. Only one candidate at their announcement had a person with a disability in a video speaking about their disability and what needs to be done on disability issues. That candidate was not a Democrat. It was Jeb Bush. We must be the party that recognizes the phrase “Nothing About Us Without Us” and our actions must bring in disabled people at the beginning – not at the end – but, at the beginning to set the policy”. Members of the Democratic National Committee will gather in Atlanta on February 25 to elect party officers, including the Chair of the DNC. To be elected Chair, a candidate must receive the majority of votes of the 447 voting members of the DNC. For more information on the National Association of Democratic Disability Caucuses can be found on Facebook or at www.thenaddc.com.